Hello everyone! 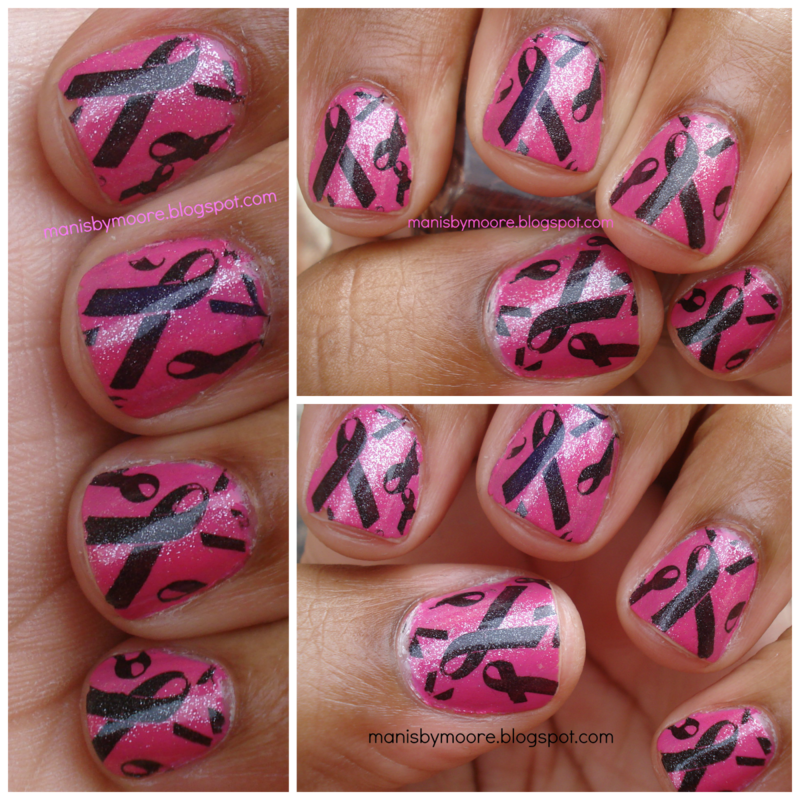 Today I have my Pink Ribbon mani for you! 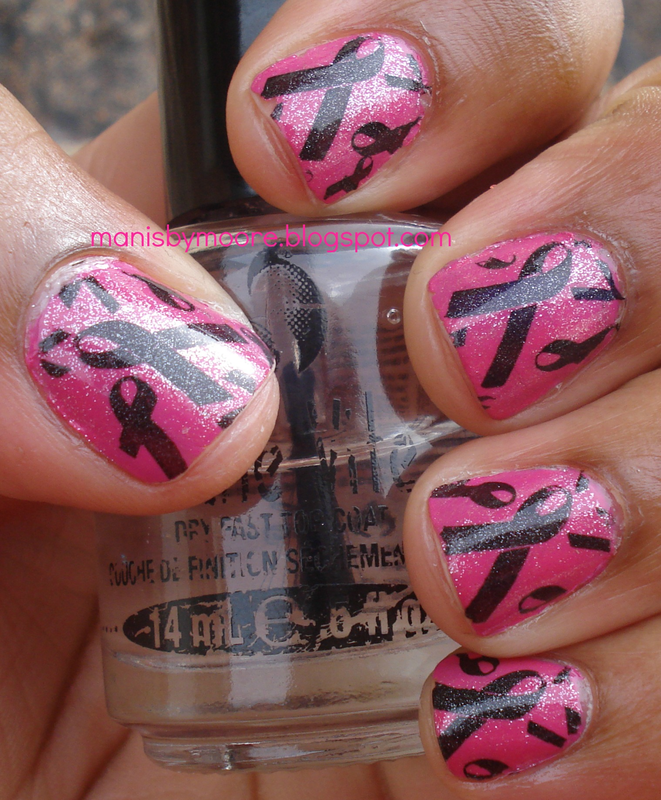 This is something that is very dear to me because I lost my Grandmother to breast cancer. I miss her so much! When I wore this mani I couldn't stop looking at it! I think my Grandma would have loved it! I love this Paula Dorf polish! I had never heard of it before but saw Joyluscious posted about how wonderful these polishes were so I ran out to TJ Maxx and found a three pack set for $5.99! Perfect Pout is beautiful! Pink is one of my favorite colors so I was happy because the set had three pinks in it! Woot woot! They last forever as well! I had this base on for four days before stamping and with no top coat and absolutely no wear! I even cleaned toilets! Wonderful polish! I have added two more sets of three of Paula Dorf to my nail polish collection and cannot wait to try them all out! I love how they last! Have you tried Paula Dorf nail polish?? Thanks for stopping by!! Thank you so much!! I know she looks down on me! Thank you for your kind words.